Congratulations to our TypePad bloggers for getting a shout-out from Martha – high compliments, indeed! Did you watch Martha's blogging show? Want to know more about how to get your own great-looking TypePad blog? Let us know in the comments. Here are some new themes for those of us who are ushering in Autumn (here in San Francisco, we still seem to be in Indian summer). 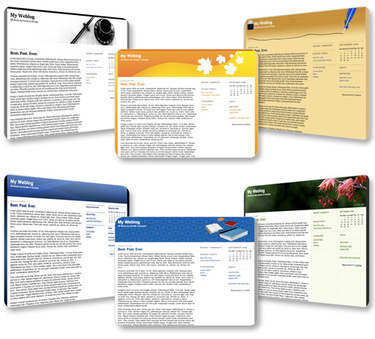 We've also added themes for writers, tea-drinkers (or is that sake?) and book lovers. Several of these gorgeous themes were designed by some of your fellow bloggers. Log in and click to the Design area to check out these great new themes! On Friday, September 19, 2008, the TypePad application and TypePad blogs will be taken offline for scheduled maintenance from 10 pm PDT to 11 pm PDT (0600 to 0700 UTC on September 20). As always, we'll keep status.sixapart.com up to date with the latest information, so bookmark that site if you're interested in following along. Thanks for your patience as we continue to invest in making TypePad bigger, faster and stronger! Have you ever wished you had more time in your day? We've all wished that before, especially at the office. Last week, the staff here at Six Apart got a real treat when Jason Womack came in to speak to us about Maximizing Workplace Efficiencies. He gave us helpful tips on meeting deadlines, leading efficient meetings, minimizing distractions, maximizing technology, and reducing workplace stress. It was a diverse crowd here at Six Apart, from customer service reps to backend engineers, but we all walked away with some helpful ideas for how to be more effective and efficient at work. In addition to being a TypePad blogger, Jason W. Womack, M.Ed., M.A., is a Professional Workplace Performance Trainer, Coach and Consultant. We also found out he's an energetic, optimistic, knowledgeable and personable guy with a great sense of humor. Jason handles his own full plate of business, family and triathlon training (!) with energy to spare, so we were inspired by his example. Just in time to start the work week, stop by Lifehacker.com today to read Jason's article "How to Kickstart a Low-Productivity Day." 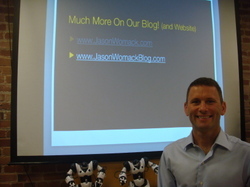 Visit Jason's TypePad blog and follow Jason's Twitter account to see what he's up to on a daily basis. And to get some of his quick tips for free right now, head over to JasonWomackLibrary.com. Thanks again to Jason for stopping by! The BlogWorld & New Media Expo, held in Las Vegas on September 20th and 21st, is the largest blogging conference in the world. Many of us here from Six Apart, including teams from TypePad, Movable Type and Vox, will be there in full force. The only question is: Will you be joining us? Six Apart will help kick off the conference with the opening keynote where our CEO, Chris Alden, and Chief Evangelist, Anil Dash, will speak on "The State of the Blogosphere." Find out what they have to say about the impact and role of blogs today, and where the future of blogging will take us. Our own Andy Wibbels, Product Manager for Blogs.com, will also lead a New Media 101 session. We'd really love to meet you, so please take time to stop by the Six Apart booth and introduce yourself. While you're there, you can meet the Six Apart staff, have your blogging questions answered, and learn more about all of our blogging tools. We'll have helpful information for every blogger, including the latest on our advertising program, spam solutions, and our new website that features the best of the blogosphere, Blogs.com. Are you attending the BlogWorld Expo? Let us know in the comments.